Shah Jahan is depicted on a throne called at the time the 'Jewelled Throne' but which later became known as the 'Peacock Throne'. 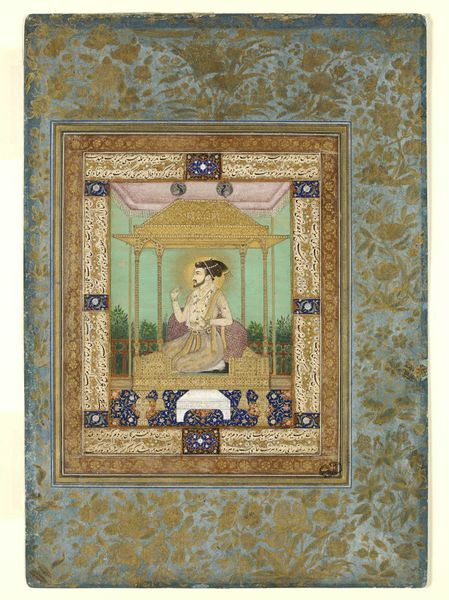 This painting bequeathed by Lady Wantage in 1921 as a genuine painting of his reign was subsequently identified as a later copy of a lost original, probably done in Delhi or Lucknow in about 1800. 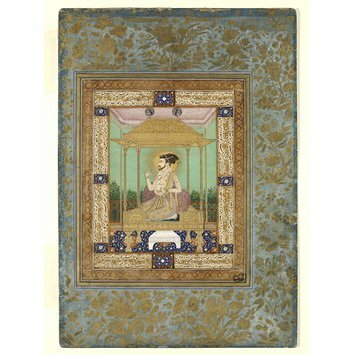 Painting, opaque watercolour on paper, depicting Shah Jahan enthroned, after a 17th century original. Bequeathed by Lady Wantage in 1921.